Atmospheric games are an interesting trend in gaming. Focused on the narrative versus gameplay mechanics, they’re designed to invoke thought and emotion on a deeper level. 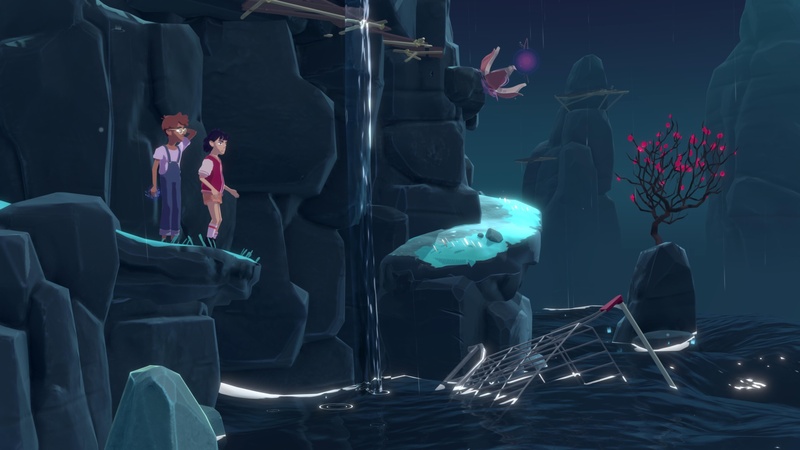 The Gardens Between is an upcoming title in that genre, and just on the surface, the game looks gorgeous. It follows the adventures of best friends Arina and Frendt as they explore surreal islands. Along the way, the player will unravel their story and find out how they ended up in the world they’ve found themselves in. The first thing that I noticed about the game is that you don’t control either character directly. Instead, you’re manipulating time around them both in order to solve puzzles that help them advance. The demo I played had four different islands that told one singular story (in this case it seemed a story of when they built a treehouse together). 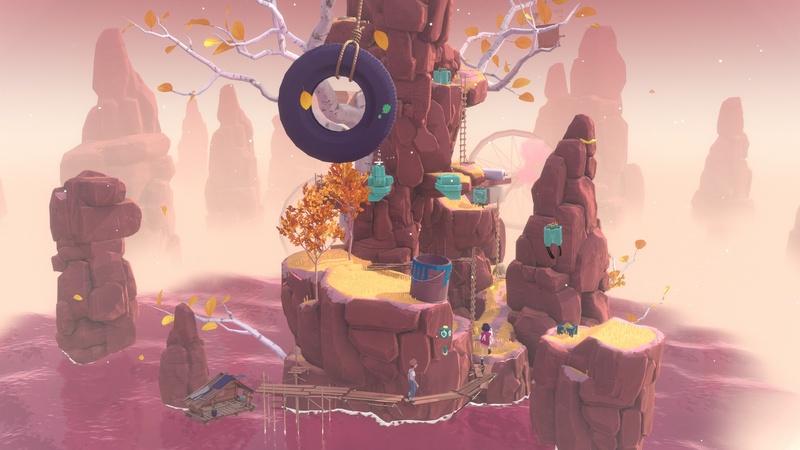 There are a few puzzles to solve, mostly involving activating objects that remain in that state after you’ve rewound time. Visually, the game is stunning, and the environmental sounds and simple soundtrack really aid in the immersive quality the game possesses. As I progressed from puzzle to puzzle and place to place, I got a small sense of the overall story the game seems to be going for. That’s the fun of games like this, where there is no dialogue, no stories told through text, or anything similar. You’re left to fill in the story for yourself, and for me, I worried strongly of what was going to happen to each of these characters. Imagine connecting with two characters that you don’t control, that never speak, and that you’re there simply to guide along a path. That’s how The Gardens Between hooks you. The game is quickly approaching launch, and if you’re a fan of atmosphere, you’ll likely find The Gardens Between right up your alley. Or island, I suppose. Just prepare yourself for what I anticipate to be a very emotional ride.